Even if you’ve never had a problem with theft, or loss prevention isn’t one of your main targets, having a security camera installed in your business or commercial space can help everyone breathe easier. There are many different reasons to have a security camera for your business, depending on the nature of it. If you have a retail setting, it’s a great way to deter would-be shoplifters. If you’re in a commercial or industrial zone or own a construction site, a perimeter camera is an ideal way to help you and a security guard keep an eye on the perimeter of your property. If you’ve been in search of the best when it comes to business and commercial security camera system installation and repair in Orange, then your number one choice is Empire Technologies. We offer several different types of security cameras that offer an ideal choice for your business. A CCTV camera is the top choice for many small or medium-sized businesses, while the aforementioned perimeter camera works well for a large, outdoor space. 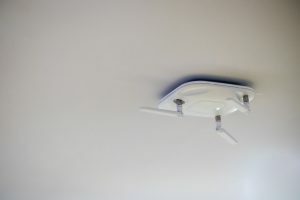 We also feature “intelligent” security cameras that work via your Wi-Fi and IP address. You can always pair these types with keyless entry systems to tighten your security measures. When it comes to repair for your existing unit, our techs are well-versed in all types of systems and operations, so even if we didn’t’ install your unit, we can get you back up and running in no time at all. To find out more about business and commercial security camera system installation and repair in Orange, call Empire Technologies today at (714)422-0431 to speak with a professional member of our staff.